Anticipating the centenary of the Latvian State and the 2nd Latvia International Ceramics Biennale, Latvian Centre for Contemporary Ceramics, in cooperation with Daugavpils Mark Rothko Art Centre, opened an exhibition of artwork created during the international ceramics competition “Memory Box” and announced competition winners. 77 works were selected for the exhibition at the Rothko Centre, including 11 works by Latvian artists and 66 by artists from overseas. These were miniature clay representation of the artists’ memories, i.e. their ‘memory boxes’ supplemented with a brief description of the memories captured in each artwork. Competition winners were selected shortly before the exhibition opening by an international jury featuring Valda Podkalne (Latvia), artist; Ieva Nagliņa (Latvia), artist, curator, Rīga Porcelain Museum; Māris Čačka (Latvia), artist, curator, Daugavpils Mark Rothko Art Centre; Rasa Stružienė (Lithuania), manager, Ceramics Pavilion of Panevežys Municipal Art Gallery; Pille Kaleviste (Estonia), artist; Valentīns Petjko (Latvia), artist, curator, Latvian Centre for Contemporary Ceramics. At the opening ceremony Ms Inga Goldberga, executive director of Daugavpils City Council, congratulated all the artists and announced competition winners. The solo exhibition award at Daugavpils Mark Rothko Art Centre was given to a Finnish artist Kirsi Kivivirta. Meanwhile, the double exhibition award went to two Hungarian artists – Zsofia Karsai and Marta Radics. Another winner, Chinese artist Kwan Sau Man, who attended the exhibition opening and awards ceremony in person, won the opportunity to participate at the VI International Ceramic Art Symposium “Ceramic Laboratory”. Meanwhile, Latvian artist Ilze Emse-Grīnberga received a 100 EUR gift card from supporters of the competition – Keramserviss Ltd. 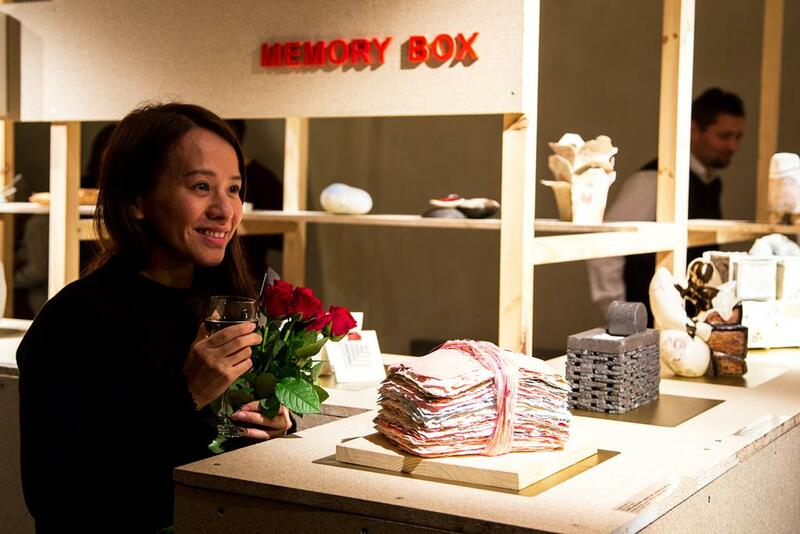 The exhibition of the Memory Box Competition is open to the public at Daugavpils Mark Rothko Art Centre until 21 January 2018. The Centre will publish the exhibition catalogue. Supporters: Association “Latvijai 100”, Daugavpils City Council, “Lode” Ltd., “Keramserviss” Ltd.